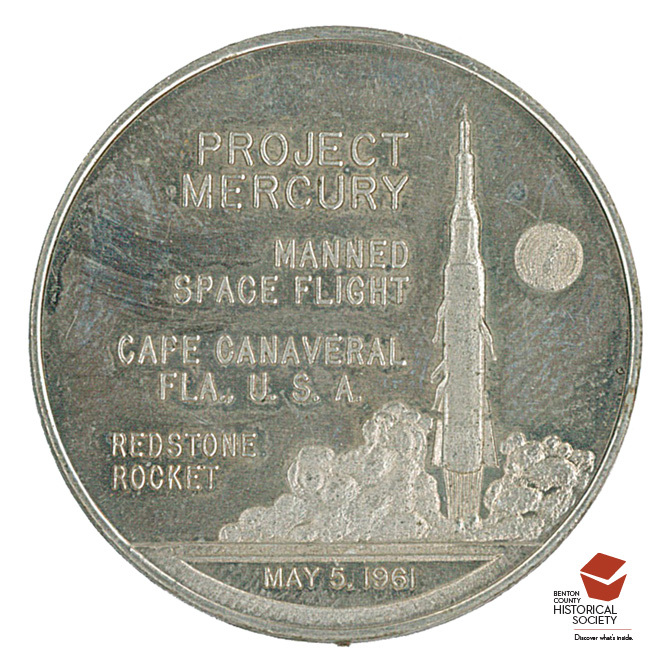 The front of the coin shows the Redstone rocket used to launch the first U. S. manned space flight. The reverse says: "Astronaut Allan B. Shepard, Jr. in space capsule 'Freedom Seven' traveled 115 miles into space and returned safely to earth on May 5, 1961." Shepard's flight was followed by another sub-orbital flight by Gus Grisson and then the first American orbital flight by John Glenn, Jr. in February of 1962.